Our Sony Theatre is a first class, fully integrated suite offering guests a flexible and price competitive venue for up to 384 guests. The Sony Theatre has a large stage with access to both wings via the backstage corridor from the dressing rooms (2 available). The dimensions of the flat hardboard stage are 11.75m x 7.75m. The stage right wing is 6.74m x 1.36m while the stage left wing is 5.84m x 1.37m. The theatre has a seated capacity of 384*, 82 of which are on the 1st floor balcony. This is also where the Sony 4k Cinema projector is situated. Access to the theatre for the get in is possible via the main entrance at the front or through the roller shutter doors at the back. There is also a ramp for access to the stage. In-house lanterns available for use include Parcans, Fresnels, Profiles, LED Battens and follow spots (operator needed). There is a D&B sound system including an E15, E12 and E8 speaker each side of the stage, ideal for theatre, dance shows, classical or acoustic performances and small music concerts. All equipment is safety checked annually and will be checked on install by the relevant technician. For a comprehensive breakdown of the theatre’s stock, please see ‘The Sony Theatre tech Spec’ document. Extra equipment is available to hire should you require it. (See ‘Sony Theatre Dry Hire Price list’ document, Technicians will advise on availability). For each event, different technicians are required to provide the best possible service. With advanced planning and the right provisions, lighting designs and sound installs tailored to the company’s specification can be set up ready for the get in. We can provide general advice on aspects of lighting, sound and stage management while liaising with the client and their team. 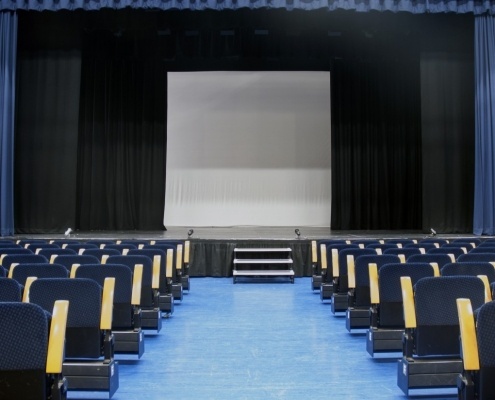 Thank you for your enquiry about hiring the Sony Theatre at Bridgend College. The Sony Theatre is a 372 seat theatre comprising of 290 ground floor seats (dependant placement of sound and lighting desk) and 82 seats in the balcony. The Hire Price for the theatre includes use of the stage, basic lighting and one theatre technician and one account manager. All prices are inclusive of VAT (charged at 20%). £200 for 4 hours, to include a Technician. Additional hours charged at £50 per hour and additional Technician support charged at £15 per hour. A list of equipment including additional microphones and speakers are available to hire. 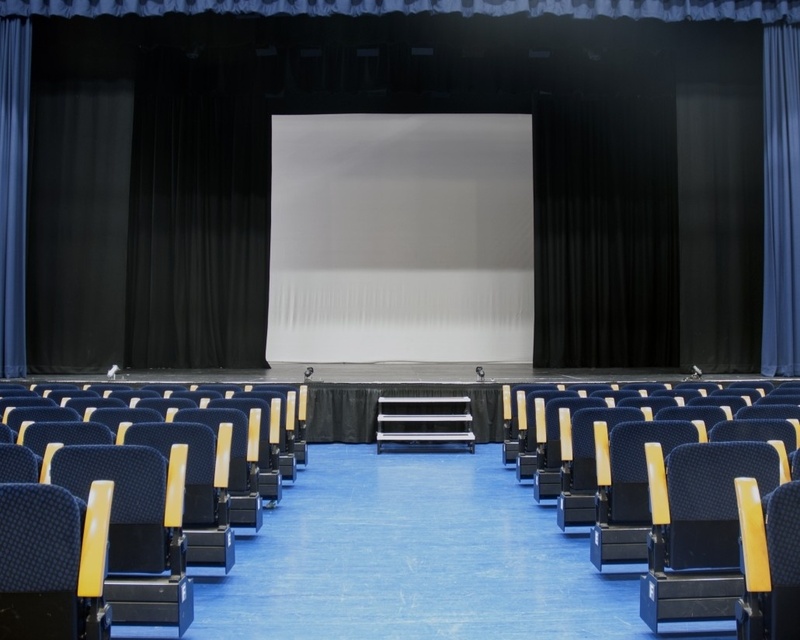 The Theatre Technician will discuss your requirements at your initial meeting and will be more than happy to advise you regarding this. In order to confirm your booking a 25% deposit of the theatre hire will be required. The remainder of the payment will be required 30 days after receipt of the invoice post event.